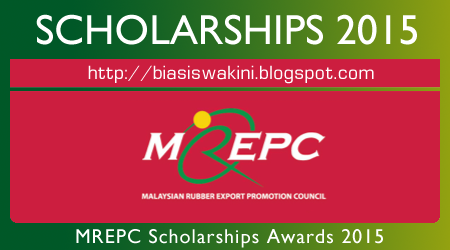 MREPC Scholarship Awards Programme for the year 2015 which is now open for application. The closing date for the online application is 5 May 2015. - Employment opportunities upon graduation. - Active participation in extracurricular activities or community service. - Not be in receipt of any other scholarship, financial aid or award. - Able to provide two credible guarantors. - Polymer Science & Technology. - IT Computer Science / Computer System Engineering. 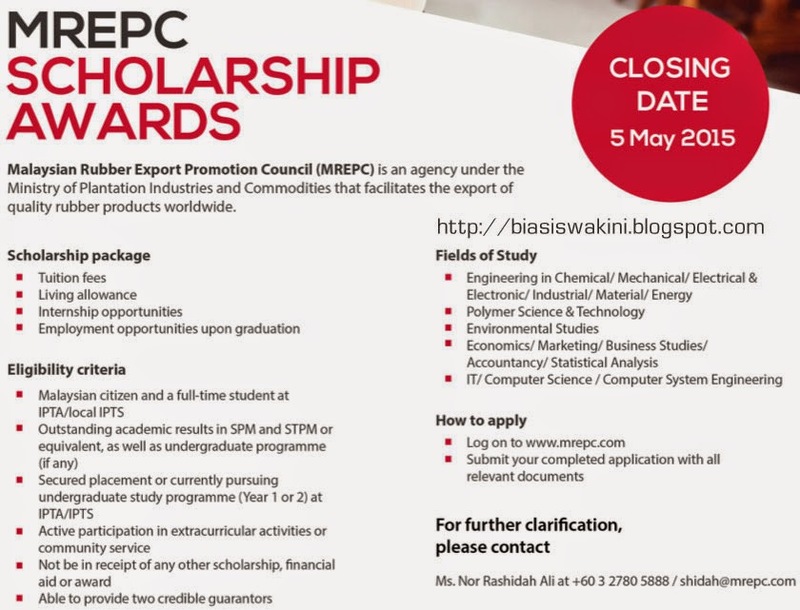 How to apply this MREPC Scholarship 2015 ? - Submit your completed application with all relevant documents. 0 Komentar untuk "MREPC Scholarship Awards Programme 2015"